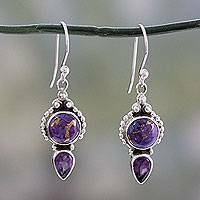 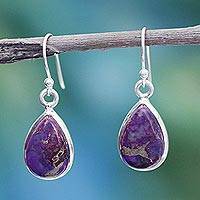 Artisan Crafted Amethyst and Silver 925 Earrings from India, "Vision in Purple"
The unique blue-green glow of turquoise seems to have a cast a spell of enchantment since time immemorial. 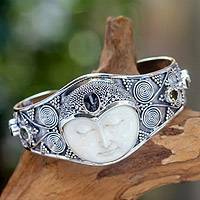 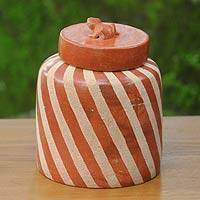 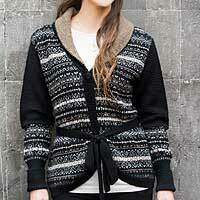 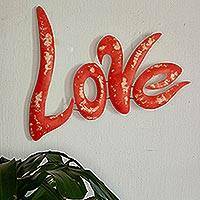 It has been used for the ceremonial masks of the Aztecs and the burial masks of the Egyptians; as amulets by Native American; and as symbol of wealth in many ancient civilizations. 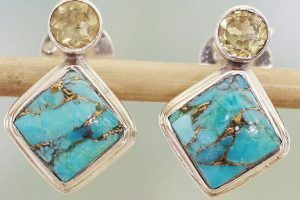 Today's artisan jewelers do not escape the charm of turquoise, treasuring its unique beauty in a plethora of styles and designs. 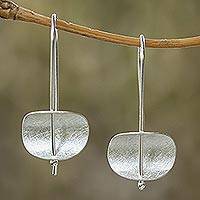 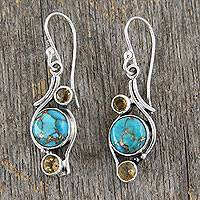 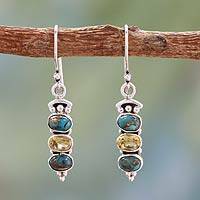 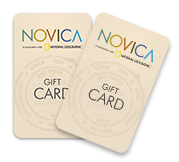 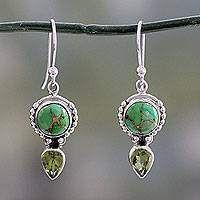 Visit Novica's gallery of turquoise earrings and be charmed too! 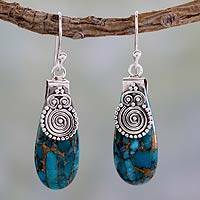 According to mystical lore, turquoise takes on the characteristics of its owner, which stands to reason that a pair of turquoise filigree earrings will always suit your personal style – even if they were handmade so very far away, say by Alfredo Inga in Peru. 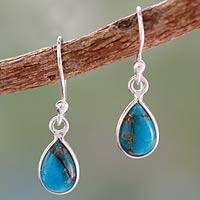 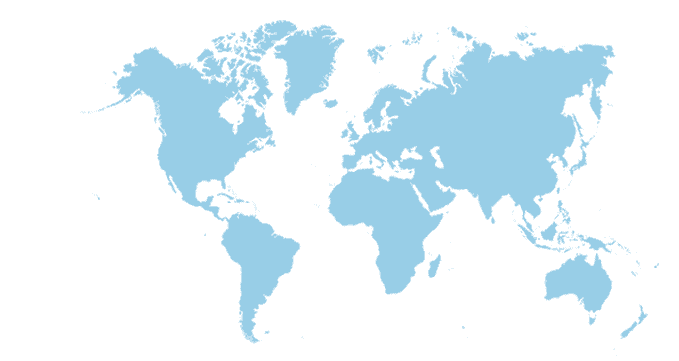 Turquoise is regarded as the symbol of friendship, said to bring the wearer good fortune when given as a gift. 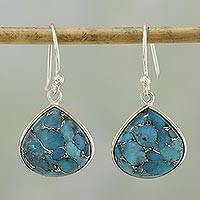 If you were thinking of flowers, why not turquoise flower earrings for a more personal, original gift?